Starting with Q3 2010 we introduced the Toolbox Configuration utility. Its purpose is to choose which version of Telerik UI for WinForms to be populated in the Visual Studio’s Toolbox. The user can select among all versions of the suite that are currently on the machine and have been either installed or downloaded using the VS Extensions. The user can make his selection using the dropdown menu which lists all versions discovered on the machine. When the Finish button is clicked Visual Studio will be restarted so that the changes can take effect. 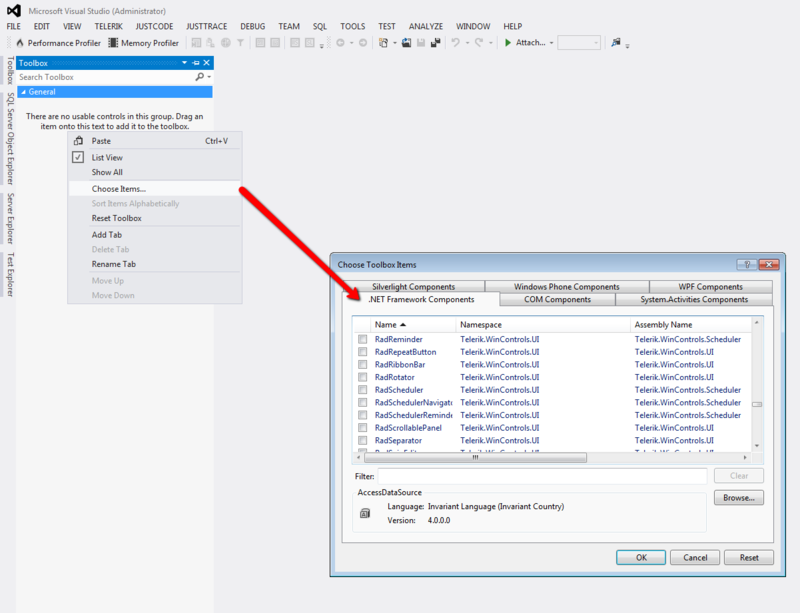 The Toolbox Configurator is supported in Visual Studio 2008, 2010, 2012, 2013 and 2015. The Toolbox Configurator will overwrite the toolbox registration performed during installation. 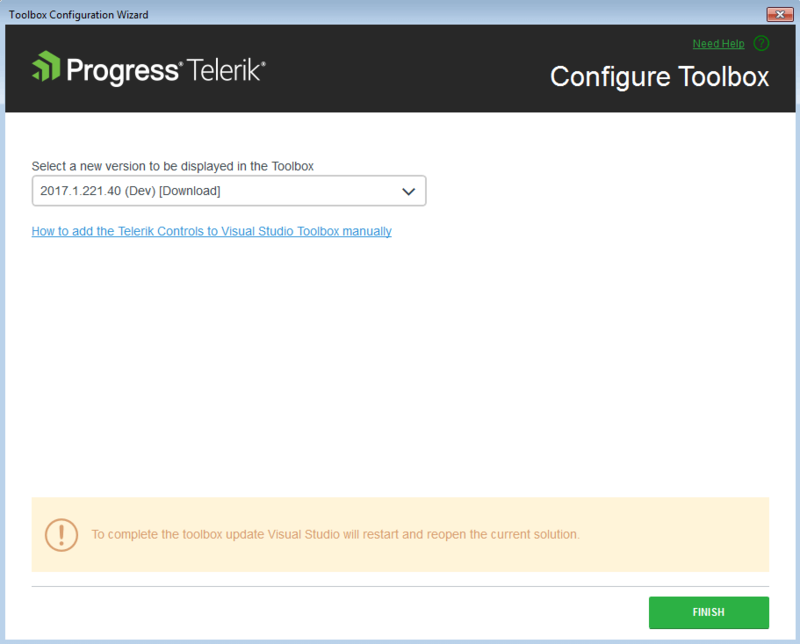 Additionally, the Toolbox Configurator registers the selected version of Telerik UI for WinForms in AssemblyFoldersEx. This makes them visible in the Add Reference dialog and Choose Toolbox Items dialog (accessible from the toolbox context menu).